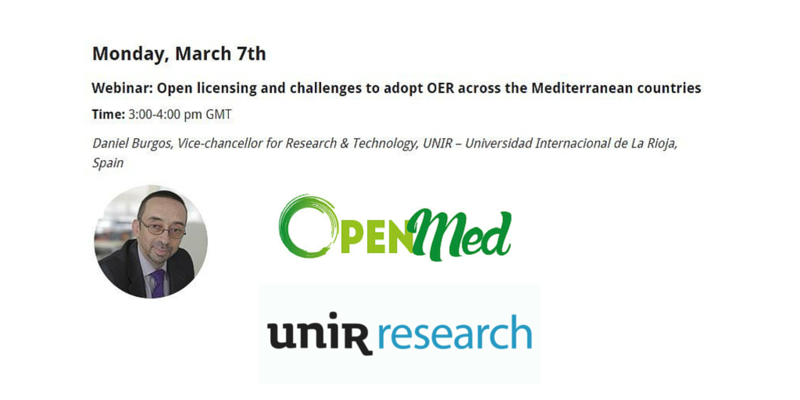 In the framework of the Open Education Week, celebrating worldwide between 7th to 11th of March, the Vicechancellorship for Research & Technology (UNIR Research, http://research.unir.net) has made a contribution with an openclass dealing with OER across the Mediterranean countries. This openclass has been possible thanks to OpenMed project (http://openmedproject.eu). The openclass was conducted by Prof. Daniel Burgos, Vice-Chancellor for Research & Technology (UNIR Research, http://research.unir.net), UNESCO Chair on Elearning (http://research.unir.net/unesco) and ICDE Chair in Open Educational Resources. Scholars, professors, and tutors from different European and Mediterranean countries has attended: Egypt, Morocco, Spain, France, Holland, Portugal, amongst others. Burgos has offered a dissertation about the challenges for OER that are: accomplished, improvable, welcome, and not developed sufficiently. One of the most controversial topics has been the proper licensing and the need to find a way to make OER profitable to the Universities and institutions without colliding with its economic results. In the debate, very active participants has asked also about the role of the teacher in the production of Open Educational Resources. 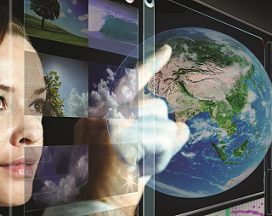 “We need to have a global vision, we must find a necessity to be covered, like in a business plan. And then, not only to think about our own pupils but what is more, on the rest of the potential interested public in the subject”. To deep inside these subjects, Universidad Internacional de La Rioja, the Vice-chancellorship for Research & Technology (UNIR Research, http://research.unir.net), and UNESCO Institute for Information Technologies in Education (IITE, http://iite.unesco.org, Moscow, Russia) organize the UNESCO-UNIR ICT & Education Latam Congress 2016 in Bogota, Colombia (http://www.unesco-unir-latam.org), from June 22nd to June 24th, 2016.